Heritage groups were out in force on Tuesday 12 June, making presentations to the Independent Hearings Panel on the Proposed Unitary Plan, on the topics of Special Character and the Pre-1944 Demolition Control Heritage Overlay. Much of the day was taken up with strong advocacy for Auckland’s heritage from various groups under the umbrella of the Character Coalition. The Panel heard from heritage groups from Devonport, New Lynn, St Heliers, Parnell, Remuera, Pukekohe, Howick and Cockle Bay. Civic Trust was also represented. This was reinforced with evidence from planning consultants, resource management lawyers and Malcolm Middleton, an expert heritage architect from Queensland. 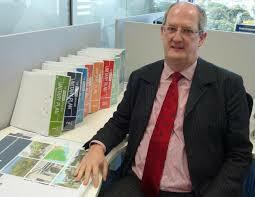 In 2013 Civic Trust brought Malcolm Middleton to Auckland to present at an Auckland Council Auckland Conversation, on the Queensland experience of the success of strong heritage protection rules.